Category 4: Watch list. Category 4 plant species are plants that are invasive and may cause significant economic or environmental impacts if allowed to become established in Montana. Research and monitoring for category 4 plant species may result in future listing as a category 1, 2, or 3 noxious weed in Montana. Plant species designated as a category 4 plant are prohibited from sale in or into Montana. AUTH: sec. 80-7-802, MCA. IMP: sec. 7-22-2101, MCA. Reason: The Montana Dept. 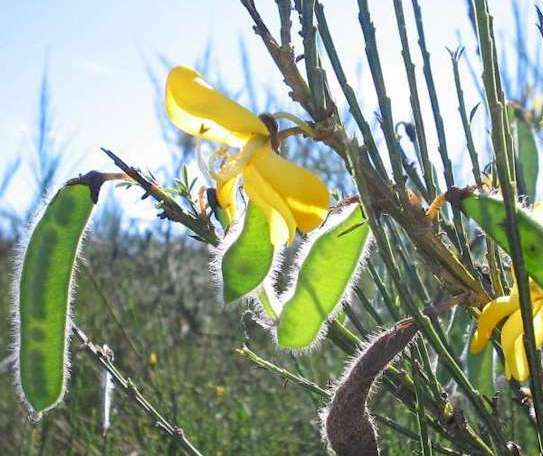 of Agriculture received recommendation from the Noxious Weed List Committee to create a Category 4 designation and to list scotch broom in this category. The intent of Category 4 listings is to prohibit nursery trade for plants that are invasive and may cause significant economic or environmental impacts if allowed to become established in Montana. Probable Entry: Scotch broom entered California and other parts of North America by being sold as an ornamental flower. In some places, Scotch broom is still sold as an ornamental flower. This is illegal in Montana (to sell or plant) as Scotch broom is a Category 4 noxious weed [see above]. Favorable Infestation Area: Scotch broom is usually found in grasslands and hillsides. They need some sun and can grow in relatively cold climates.